Supermarket Wall Gondolas are popular shelving types in the supermarket industry. This is done specially to maximize product display that offers the maximum benefit for the merchandiser as well as for the retail customers who walk into the supermarket. This offers a combination of both a rich and rugged look. The wall gondola units are preferred in supermarkets because of the flexibility, strength and attractiveness it displays. Wall gondolas from Donracks are made out of fine steel that is pretreated to ensure its stability and durability. It is also powder coated to make it corrosive resistant. 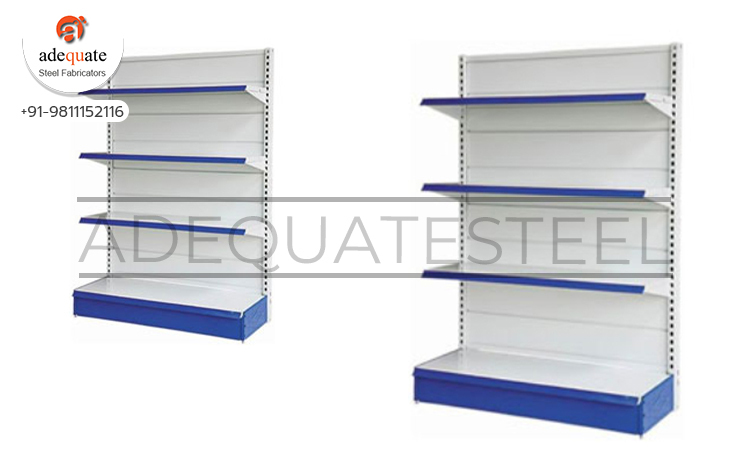 There are different varieties of shelving options that can be customized to suit the need and area of the premise for which these units are chosen.Click here to view all our Supermarket Racks.